American democracy: if it is broke...do fix it. 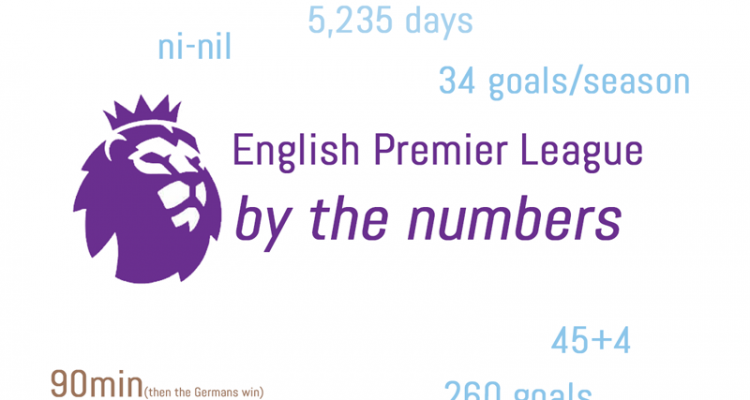 EPL by the Numbers 2018-19 #26. Click for more. EPL by the numbers 2018-19: Match week 7, Chelsea for real? EPL by the numbers 2018-19: Match Week 11, Liverpool sliding? The midweek matches last week saw United take a step backwards (losing 2-1 at Wolves), City rise back to the top of the table for a couple of days after a 2-0 win over Cardiff, Tottenham finally win a match 2-0 over Crystal Palace, in their first belated appearance at their impressive new home, and Chelsea earn a valuable three points 3-0 at home versus Brighton. Fulham then confirmed they would join Huddersfield in the Championship next season by losing 4-1 at Watford. The weekend started Friday with more late goals for Liverpool saving their title tilt, with Salah finally getting off the snide with his first goal since 2/9 and then Henderson wrapping things up as they won 3-1 at St. Mary’s to again rise to the summit of the table. Saturday saw three games matching sides up from the middle to the bottom of the table, with the road sides winning all three. Burnley brushed past Bournemouth 3-1, the Rodger’s Revolution continued at Leicester City with a 4-1 win at Huddersfield and Crystal Palace beat back Newcastle 1-0 at St. James Park. Sunday, the only match was Everton vs. Arsenal and the home side kept up their stout defending in a 1-0 win that kept Arsenal in fourth but means that three points still separates Tottenham in third from Manchester United in sixth. Around Europe, most sides moved closer to their almost preordained titles – with Barça now 11 points above Atlético Madrid after beating them 2-0, Juve 20 points up with 7 to play (meaning, given their goal difference, they are one point from guaranteeing the title) and PSG 20 points above Lille with a game in hand and 8 to play. Dortmund’s dream of ending Bayern’s hegemony of the Bundesliga title took a huge hit as they were absolutely smothered 5-0 by the reigning champions and now sit a point behind with 6 to play. Beyond the big 5, Benfica and Porto are tied on 69 points with six to play in Portugal, Ajax and PSV Eindhoven are even in the Eredivisie and Istanbul Basaksehir looking increasingly likely to win the Turkish league, with a six-point lead with seven to go. The weekend also saw the return of the FA Cup. In the semifinals, Man City beat Brighton 1-0 on an early goal and Watford withstood a game challenge from Wolves to win 3-2. The final will be May 18th, which could be the third piece in a treble, and possibly step three onto an even rarer quadruple for the Citizens, assuming they can overcome the 1-0 lead Spurs have after the first leg of their quarterfinal matchup. 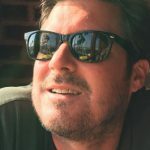 Since I’m so late with the week’s post, I might also mention that Liverpool already have a foot in the semifinals after a 2-0 victory over Porto, Ajax will have to win in Turin (or have a high scoring draw) after a 1-1 home draw with Juve in a match they actually dominated and Barcelona look relatively safe after a less-than-impressive yet still effective 1-0 victory at Old Trafford. In the Europa League yesterday, Arsenal won 2-0 at the Emirates to put themselves in decent stead heading into the second leg, Chelsea toughed out a 1-0 victory at Slavia Praha and will be confident of progressing at Stamford Bridge next week, Benfica won a 4-2 thriller over Eintracht that keeps the visitors in the tie and Valencia won 3-1 at Villarreal to all but book their place in the semis. Finally, it is worth mentioning that the University of Virginia, a year after becoming the first team in history to lose as a #1 seed in the first round to a #16, won their first National Championship, beating a tough Texas Tech team in overtime 85-77. It was an 11-0 run in OT that won it for Virginia, after they blew a 10-point lead with less than 10 minutes left in regulation, then had to come back to push it to OT with late treys and clutch free throws for the third time in the tourney. 0 – After Everton scored early, Arsenal continued their run of no clean sheets on the road all season and 40 conceded in total. There was luck in that goal, but if Arsenal do miss out on the Top 4, this will be the reason. They are 1-3-5 in their last 9 on the road and 4 of their final 6 this season are away from home. Hope abounds for United and Chelsea (and Tottenham, for that matter). 0-18 – Benteke of Crystal Palace has gone 18 matches, going back to last April, without a solitary goal. He came on in the second half of their match last Saturday and had one decent chance to get off the snide, but fluffed it, and so the search for that elusive goal goes on, even as his side won the match anyway. 0-49 – Chris Davis of the Baltimore Orioles, after he stretch his start of the season slump to 0-28 Monday evening, following an 0 for his last 21 at bats run to end last season. This breaks the previous record of 46 at bats without a hit, previously held by the hapless Eugenio Velez of the Dodgers, who did it over a longer stretch and then never played again. Davis has continued the slump with another 0-4 and has already accrued 16 strikeouts out of 37 total at bats (with 5 walks) – a strike out percentage of 43 percent, even worse than his league leading 37 percent from last season. The Orioles first basemen, on a $161 million contract (that includes deferred compensation payments until 2037), continues making his case for the worst dollar-for-dollar salary in league history every time he steps on the field. Maybe you don’t always get what you pay for, eh? 1 – Phil Jagielka was starting his first match of the entire season for Everton at Goodison Sunday, only on the field because Michael Keane fell ill in the warmup. He repaid the late start with an early goal in the 11th minute. It made him, at 37, the oldest to score in the league this season. 1 and 3 – In a rarity for college basketball in recent years, the two finalists in the NCAA Basketball tournament were the #1 and #3 defenses this season, with Virginia tops and Texas Tech third. Virginia allowed a miserly 55.5 points a game and Texas Tech 58.8. While the under seemed like a great bet, Virginia won it 85-77 in OT, beating the second lowest total of 118 by 44 points! Diakite celebrates Virginia’s first National Championship ever Monday. It was his last second shot to force overtime after a purposefully missed free throw against Purdue that got them to the Final Four for the first time since 1984. 2 – Two goals and two assists in his last six for James Maddison, already a hot commodity around Europe, as he has helped Brendan Rodgers bed in impressively as the new manager of Leicester City. He scored a lovely free kick Saturday, as Leicester cruised past Huddersfield 4-1 to move up to seventh in the table. 3 – If Arsenal do miss out on the Top 4, it is worth mentioning that two terrible calls have cost them valuable points this season. First was the offsides before the Kane penalty against Tottenham that cost them two points and then at least one more against Everton, as the throw-in that led to the only goal of the afternoon was taken with a foot clearly in bounds. Others can be peppered across the season, though the Gunners have also benefited from a bad call that went their way here or there. However, the overarching question is whether a weekend goes by these days when a terrible call doesn’t influence the outcome of at least one match? 4 vs 17 – Crystal Palace have one of the best defenses in the league in the first half of matches, sitting fourth in the table, while they are one of the worst in the second half, at 17th. Saturday, they failed to get a shot on goal until the successful penalty in the 81st minute and went on to buck that trend and win 1-0 at Newcastle and essentially wrap up safety for the season. Yedlin took down Zaha in the box late, costing Newcastle a valuable point as they continue to fight to secure Premier League football for another season. 5 – Clean sheets for Everton in their last six matches after their 1-0 win over Arsenal. The win moved them up to ninth, and put them on a path to potentially finish in seventh (aka “best of the rest”). The turnaround is impressive, after a leaky defense that did show up in the one defeat over that stretch, a 3-2 loss to Newcastle where they held the lead with 15 minutes to play. 13 – Wolves upped their points against the Top 4 to 13, tops in the league, as they came back from a 1-0 deficit to defeat United 2-1 at Molineux last Tuesday. The loss put a dent in United’s Top 4 ambitions, though they still have a decent shot and will definitely have a say on who wins the title this year when they host City later in the month. A Chris Smalling own goal could be the difference, if United do fail to finish in the Top 4 from here, as Wolves beat United 2-1 for the second time in just a few weeks. 10 of 11 – Successful penalties for Luka Milivojevic of Crystal Palace this season. It was the 11th for Crystal Palace in total this season, the most of any side. That penalty take guaranteed safety for another season for the side. Milivojevic leads the league by 5 this season and had the most last season (7), as well as 2 two years ago. He is the third player to hit 10 in a season, joining Lampard and Gerrard, with six games left to possibly hold the EPL record alone. Milivojevic has been almost unstoppable from the spot over the past two seasons. 21 – Goals for Liverpool in the first fifteen minutes of matches, the most in the league. It is certainly easier to play from ahead, though Liverpool’s poor stretch at the start of this calendar year included losing three of those 1-0 leads that cost them the six points that could well have been the difference in the title race if they don’t win it. 26 – Countries where “Lionel Messi” was the most searched human on Google (in 2015), tied with Kim Kardashian for #1 on the list. He is also among the most watched living highlight reels in the world, as with this wonder goal in a recent 4-1 win: https://twitter.com/RiazHamed2/status/1107530805235122176. Messi is surrounded by Betis players, but it matters little to the maestro, who continues to pile up goals and trophies and is still only 31. 30 – Years since Everton last had two players with at least 12 goals. This season, Gylfi Sigurdsson and Richarlison both have hit that mark. They won the league the last time it happened and, though that certainly won’t be the case this term, it does speak to positive momentum as Marco Silva settles into his new post. 59% – Of Crystal Palace’s 39 points have been won away from Selhurst Park, a weird statistical anomaly for a side that somehow made this list three times this week. The victory at Newcastle left them 12th in the table, 11 points above Cardiff in 18th and, as previously mentioned, essentially guaranteed another season in the top flight where they hope to find a way to score and win at home next term. 69 – Mo Salah broke Fernando Torres’ Liverpool record for fastest to 50 EPL goals, doing so in three fewer matches than the former Reds striker, though he was three short of the all-time record, held by none-other-than Alan Shearer. His goal last Friday was imperative for Liverpool, as dropping even two points with the goal differential as it stands might mean City all but wrapping up the title. Now a draw for City could prove the difference, assuming the Reds beat a slightly resurgent Chelsea this weekend. Is Mo Salah shaping back into form at the perfect time for Liverpool? 100 – Mike Dean became the first referee in history to dole out 100 red cards Tuesday, as he sent off Ashley Young in United’s 2-1 loss to Wolves. It was their second victory over the Red Devils this of season following the FA Cup win a few weeks ago. 104 – Jamie Vardy broke Gary Lineker’s record of 103 goals for Leicester City in all comps last weekend, helping the former champs en route to an easy 4-1 win. He has been hot of late, with 7 goals and an assist in his last six matches and has a respectable 15 in 29 this season, after a slow start. 1994 – The last time Chelsea lost on a Monday. The record still holds after a relatively straightforward 2-0 win over West Ham, a side they hadn’t beaten in the last three matchups, drawing one and losing two. The win moved them up to third, above Tottenham, though they have played a game more than Spurs, Arsenal and United (though the latter trails them by five points now). Richard has published over 25 academic essays, hundreds of articles in the popular press on movies, music, sports and politics, and three books, Hollywood's Exploited (Palgrave, 2010), Educating the Global Citizen (Bentham, 2011) and The Selling of Bohemia (RJV Books, 2015). He earned a PhD in cultural studies and education from UCLA and a masters in economics from SDSU. He is a rabid sports fan who roots for Arsenal, the NY Jets and Dallas Cowboys (he knows, he knows), the Yankees and the Celtics. No Comments on "EPL by the Numbers 2018-19: Match Week 32-33 Liverpool back on top; Chelsea to third"